BALNEA reinvents the art of relaxation by inviting our senses to a unique wellness experience. 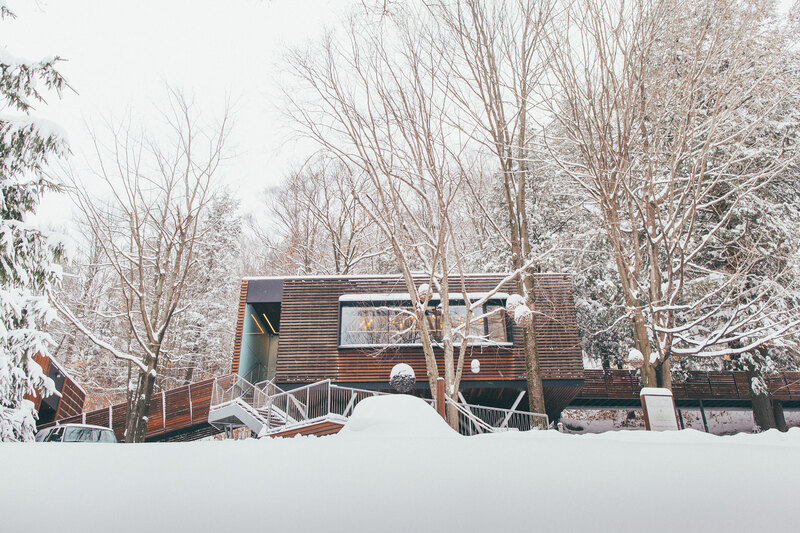 Whether it’s for an hour or two hours to replenish ourselves or for a short getaway from our daily routine, BALNEA, spa + réserve thermale offers a total immersion inside an exceptional nature in the vastest spa domain of Quebec. An attentive team, cares and massages from all around the of world, eclectic installations, a nature cuisine, a network of mountain trails, yoga on the shores of a lake, and especially the thermal ritual with its highly recognized benefits have made BALNEA an state-of-the-art venue for our health and wellbeing. 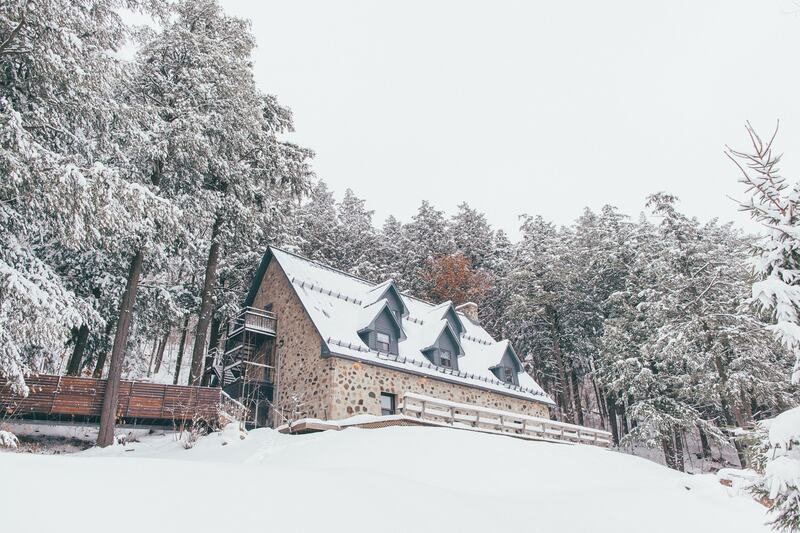 Nestled in the heart of the mountain and overlooking a magnificent, exceptionally pure lake, BALNEA offers a unique venue, combining a lean architectural style established under sustainable values with respect to its environment and its history. This award winning building is your gateway to the spa. Here our care representatives will guide you according to your requests, towards spaces conceived to answer your needs for rest and revitalization. The HAVRE welcomes you as you enter a warm and luminous area for your cares and massages. In total symbiosis with its environment, integrates the magnificent lake pavilion as well as authentic hot tubs to the lake’s riparian shoreline overflowing with rich aquatic life. Closed during winter season. Nestled by the forest located at the bottom of Mount Gale and is oriented to benefit from the sun’s warm rays until sunset. With its unique BALNEA architectural signature, it offers a magnificent terrace, a sleek and refined hammam with subtle natural lighting. Several other spaces, such as the restaurant, LUMAMI, cuisine nature, the lounge, the amazing cavern, are all relaxations areas conceived to have you experience moments of true revitalization and joy. From its founding, BALNEA has held on to its vision of creating a venue where people could immerse themselves inside this exceptional nature, to benefit from its healing powers for their health and wellbeing and, inspired by the values of First Nations, to protect this environment for future generations. An exceptional pristine lake, a lush forest, magnificent installations built using the strictest standards and innovative practices for protecting our flora, our fauna and our water sources. Some of our actions entailed creating more awareness with our visitors. The riparian strip set along the lake is a good example of this. To learn more about our sustainable mission we invite. Mindspace has associated itself with BALNEA so that our guests can benefit to the fullest of their time inside nature. Discover 22k of marked trails to explore as you begin your stay with an energizing hike, Boot camp, with a coach or on snowshoes. If you wish to extend your stay in the Eastern Townships, our 5 best loved hotels offer customized, made to measure packages. The well-being stopover at Montreal-Trudeau Airport. Three stations allow travelers to start their trip relaxed, looking and feeling great!